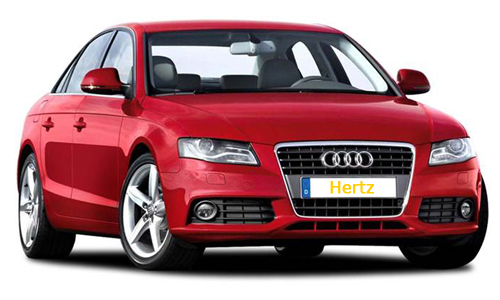 Click on this logo to book direct with Hertz. Hertz as a brand doesn't need much introduction. The name is synonymous with quality, it is one of the most globally recognised travel brands and the world’s largest and longest established vehicle rental company. A pioneer in car hire, Hertz invented the fly-drive concept and has since developed many innovative service initiatives to take the stress out of renting, winning many consumer and industry awards along the way. On its own and through agents and licensees, Hertz operates about 8,000 rental locations in more than 150 countries worldwide including all major cities and airports. Its fleet includes some 500,000 cars from Ford, General Motors, Toyota, and other manufacturers.